Our clothes are pretty much the opposite of an ugly Christmas sweater; they are understated, well made and use natural materials. We know linen may not be the first material you think of when you reach into your closet to get dressed up for holiday parties, so we wanted to share our favorite ways to wear our pieces in a glamorous and festive way. We also have beautiful garments in raw silk and tencel, a soft sustainable fabric with a nice sheen. Keep scrolling to see how we styled the looks… plus one of our favorite holiday drink recipes! Our linen Jumpsuit looks classic and elegant with a pair of festive shoes and a cocktail ring. 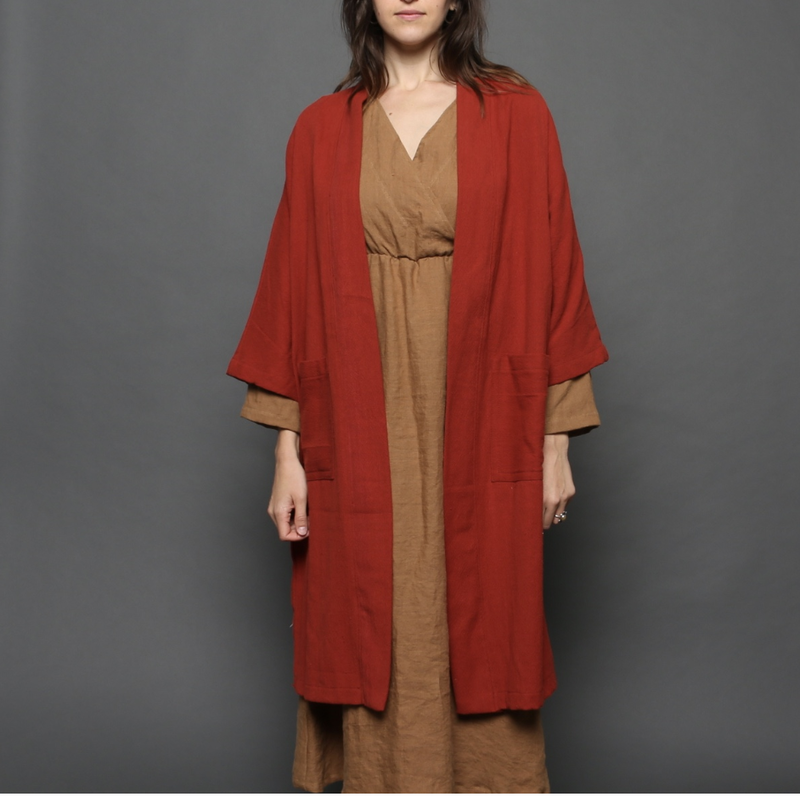 Sasha is wearing the the Harvest Wrap Jumpsuit in stone and she layered it with the Alpine Cardigan in Pomegranate for the pop of holiday color. 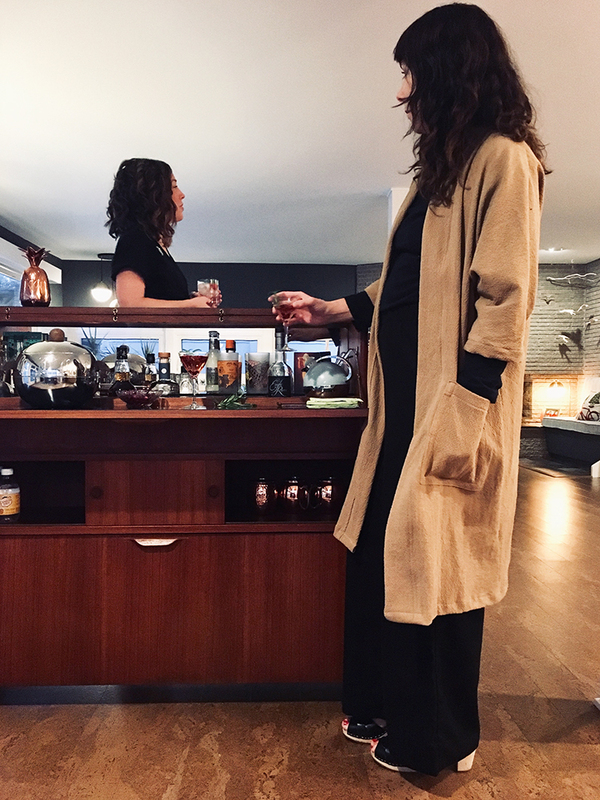 Rose looks chic in the Moonrise Pant styled with the Alpine Cardigan in Sand. The Selene wrap dress is one of our silk styles. It makes the perfect holiday little black dress, and we added a little extra bling with a vintage brooch.